Join us at the Atlanta REIA Main Meeting on Monday, January 14th from 5PM-9PM at 3125 Presidential Pkwy, Atlanta, GA where Tom Krol will be discussing the Greatest Real Estate Business… Wholesaling. 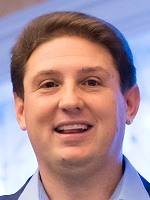 Tom will be talking about what is working today and what is not when it comes to wholesaling houses for fast cash. 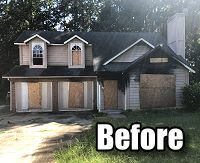 For those of you that may not be familiar with Wholesaling yet, it is the art of finding bargain (discounted) properties and passing those bargains along to bargain hunters for profit. 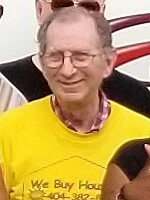 Watch Video from Tom Krol! And totally automate your business with delegation instead of tools and systems! 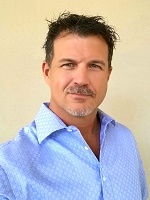 Tom is the founder of Wholesaling Inc and PSL Homebuyers and is considered to be one of the most successful Real Estate Wholesalers in the country. 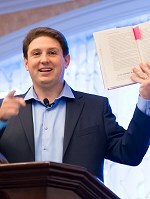 Through his unique approach to Real Estate investing, Tom has bought and sold numerous properties across the country and has taught aspiring Real Estate investors how to do the same. 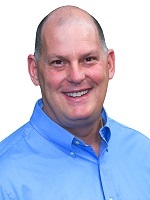 His no-nonsense, “step by step” coaching methods along with his passion to help others succeed has created a loyal “Tribe” of Wholesaling Rhinos! Come join us on Monday, January 14th at Atlanta REIA and learn one of the simplest, fastest and most affordable ways to invest in real estate! RSVP NOW & DON’T MISS IT! 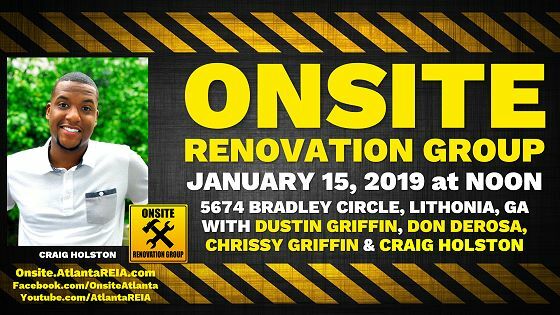 As always, Atlanta REIA Members can attend our Main Meeting event at no charge and Non-Members can Register Online for $15 or pay $20 at the door. Be sure to bring your business cards and flyers and join us for an evening of real estate deals, vendors, networking, education and fun on Monday, January 14th! See you there! Atlanta REIA All New BIG Christmas Party! FREE for Members Who RSVP Before 12/17! Join us for DJ, Christmas Karaoke, Music, Magic Tricks, Door Prizes, Food, Fun with Your Favorite Investors! Atlanta REIA wants to wish you and yours a very Merry Christmas and Happy Holidays! Please join us on Monday, December 17th at 6:30PM for our annual Atlanta REIA BIG Meeting & Christmas Party at the Hudson Grille located at 6317 Roswell Rd NE in Sandy Springs, GA.
Join us us for Christmas Tunes with DJ “Heavy C”, Christmas Karaoke with Maria Rosenswike, Magic Tricks with John Corbin aka “The Amazing Nibroc”, a special Mystery Presentation with Tan “Down Under” Michell, Door Prizes and 50/50 Raffle with Chrissy Griffin, Food & Drinks* from the Hudson Grill and Holiday Networking with your Favorite Real Estate Investors! The Christmas Party is FREE for Atlanta REIA Members who RSVP before December 17th, otherwise it will be $20 at the door. It is critical that you RSVP before December 17th so we know how much food we need to order and have the restaurant prepare. So please RSVP before 12/17! 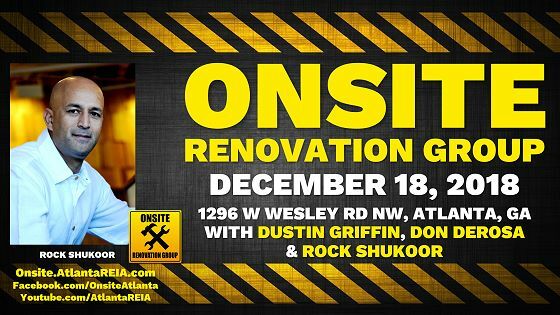 Atlanta REIA Members Who RSVP Online Before December 17th Can Attend for FREE or Pay $20 at the Door or Online after December 17th. Non-Members and Guests Can RSVP Online for $30 or Pay $40 at the Door. Atlanta REIA Members wish to bring a guest who is a NON-Member can RSVP Their Guest Online for $30 or pay $40 at the door. *PLEASE NOTE: Appetizers and non-alcoholic Beverages will be provided for those who register and show up on time. Attendees can also order off the Hudson Grille menu and/or purchase adult beverages at the cash bar at their own expense if they wish. 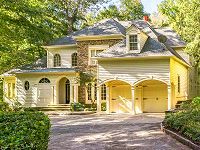 The December 2018 Edition of The Profit Newsletter, the official newsletter of the Atlanta Real Estate Investors Alliance, is now available for download. 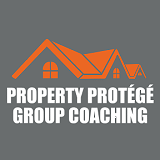 There are 44 pages this month full of upcoming meetings, workshops, webcasts, educational articles and other valuable information for your real estate investing pleasure and success. Download it and check it out! 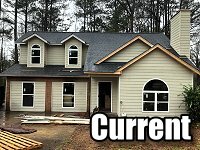 Is the Real Estate Market Changing? If So, Are You Ready for What Comes Next? As 2018 starts to wind down and come to an end, many of us are looking back on 2018, reflecting on our successes and mistakes and getting refocused and re-energized about 2019. Did we achieve everything we wanted to this year? If not, why not? Will 2019 be better? If you have taken the time to look back on 2018 compared to where the real estate market is today, you’ve probably started to notice some changes. Are we still in a sellers market? Are some some areas and price ranges hotter than others? Are days on market going up or down? Do you know what’s going on and where the market is headed? If you don’t know the answers to these questions, don’t sweat about it. 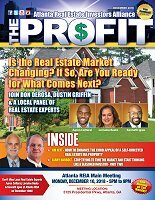 Instead, join us at the Atlanta REIA Main Meeting on Monday, December 10th from 5PM-9PM at 3125 Presidential Pkwy, Atlanta, GA with Don DeRosa, Dustin Griffin and a Panel of Local Real Estate Experts. 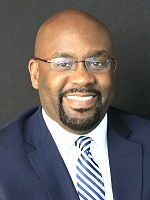 Our panel will consist of Aaron Cotteral, an excellent real estate agent who likes to hustle for his clients. 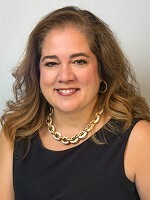 Lorraine Beato, who is half real estate agent and half real estate investor. 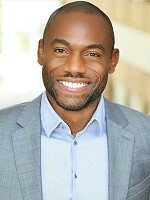 and Kenneth Igwe who is a hard money lender. These guys know their market inside and out and are going to share their opinions with current and future real estate market based on their stats and experience. Part 1: Together, during the first part of the meeting, we are going to talk about the current real estate market, where we’ve been, where we are now and likely where we’re headed in the New Year. Part 2: During the second part of the meeting, Don DeRosa and Dustin Griffin are going to talk about where YOU have been this year, where you are now and your plans and goals for the future based on the changing real estate market conditions. We want to empower you and help you reach and exceed all your financial goals in 2019! So if you want to talk about where the real estate market is going in 2019 and more importantly, where YOU are going, Take Action, RSVP Now and Come Join Us! We look forward to seeing you at the meeting! If you’ve got deals you’re working on, bring them and Don will help you figure out a few offers so you can make some money!